Dr. Danny has practiced dentistry for over 24 years, serving the Las Vegas, San Diego areas. Dr. Truong prides himself on remaining at the forefront of a rapidly evolving industry. His goal is to instill confidence in his patients’ smiles and overall dental health. Making these goals the focal point of his practice, empowers his patients, alleviates their dental anxieties, and provides them with a superior dental experience. 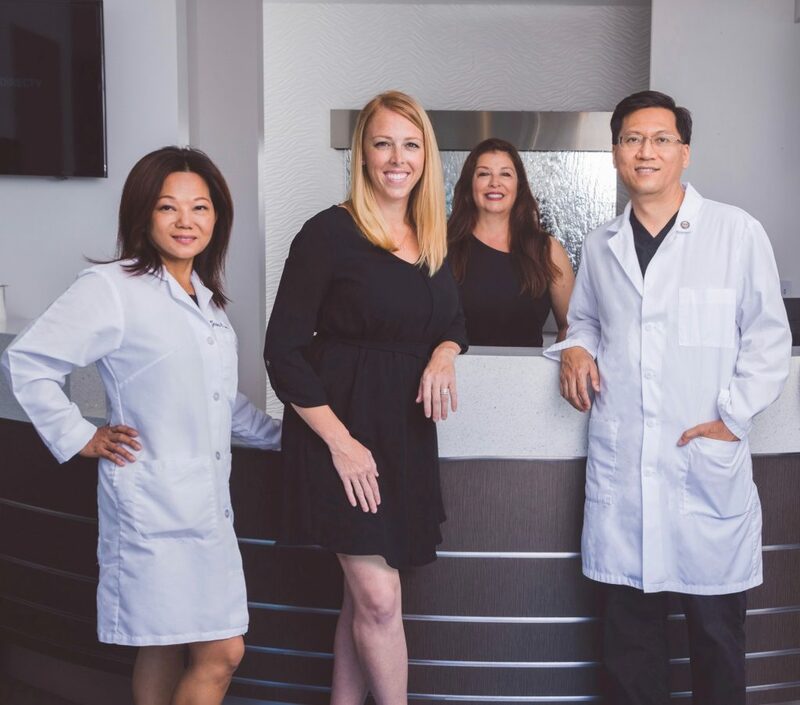 Utilizing the best technology and techniques, Dr. Truong takes implants, implant stabilization dentures, and other advanced treatments to the next level. After all, no two smiles are alike and there are no one size-fits-all procedures. 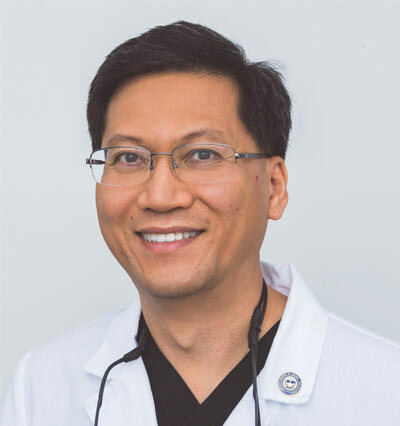 Dr. Truong grew up in France, moved to Los Angeles and attended the University of California, Los Angeles, where he earned his Bachelor of Science in Psychology/Biology and Doctor of Dental Surgery. 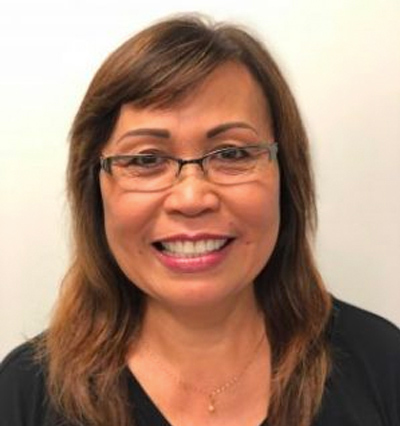 Dr. Truong is a Fellow of the International Congress of Oral Implantologist, a member of American Academy of Implant Prosthodontics, American Dental Association, California Dental Association and San Diego Dental County Association. Dr. Truong enjoys traveling to many islands around the world with his wife and son. 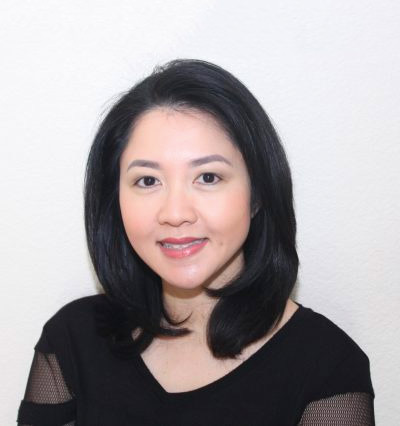 Dr. Jessica attended University of California, San Diego for her undergraduate degree in Biochemistry and Biology. 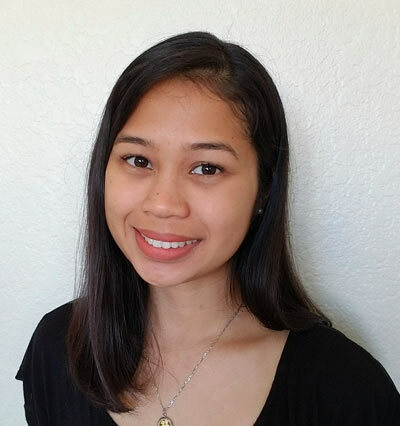 After her undergraduate studies, she went on to work as Research Associate in hepatic pathology with emphasis on bile secretion at UCSD medical school before entering dental school. She earned her dental degree from Northwestern University Dental School, Chicago. 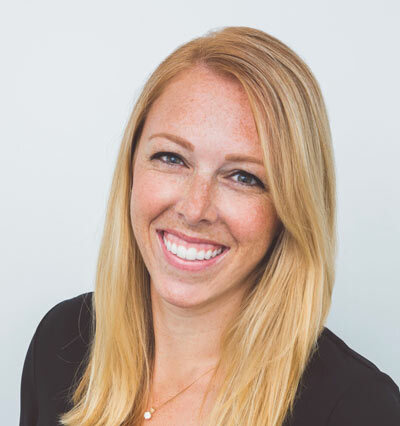 Dr. Jessica is passionate and committed to providing her patients with the highest standard of care. She places a strong emphasis on preventive dentistry and creating treatment plans that inspire her patients to carry on well past their 90s. Through her well thought plans, patients are empowered with a heightened sense of self-confidence and quality of life. Dr. Jessica practices Biomimetic Dentistry, a “less is more” conservative approach to dentistry which preserves what nature has provided ” It is efficient and cost effective for my patients.” Today, Dr. Jessica prides herself at being at the cutting edge of the industry’s progress, and ensuring her patients receive the level of expertise they deserve and have grown to expect. 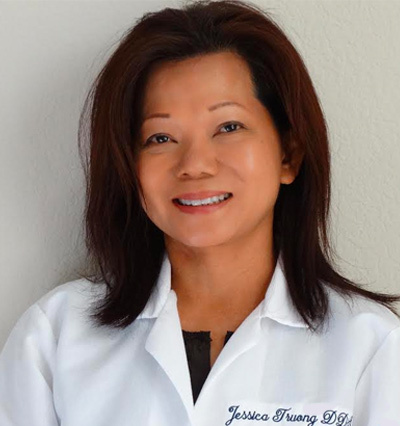 Dr. Truong believes that value added services such as BOTOX® to treat TMJ disorders and jaw tension are a game changer for the modern dental practice. Her focus is on functional aesthetics and conservative care. One of her favorite quotes ” Let the beauty of what you love be what you do” by Rumi. Dr. Jessica enjoys travel to many countries around the world with her husband and son. 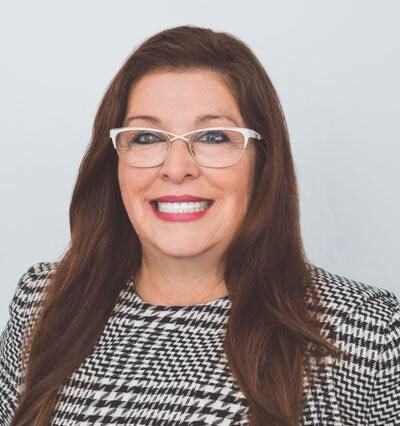 Dr. Jessica is a member of American Dental Association, California Dental Association, San Diego Dental County Association, and The International Academy of Facial Aesthetics.